George e is a favorite among young Hollywood Celebrities, and has worked with many of Hollywood “it” girls-including—Kim, Khloe and Kourtney Kardashian, Madonna, Britney Spears, Hailey Baldwin, Hannah Davis, Naya Rivera, Shay Mitchell, Ana De Armas, Nicole Richie, Miranda Kerr, Sara Michelle Gellar, Jenna Dewan Tatum, and more. His work has been featured in numerous national magazine photo assignments, film projects, music tours, music videos and fashion shows, resulting in a vast and sophisticated portfolio. 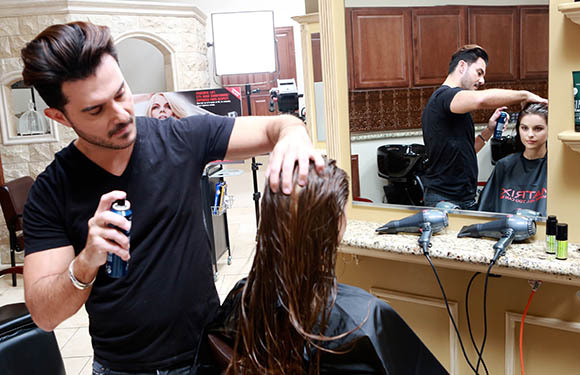 George’s celebrity clients have sported his haircolor on the covers of Cosmopolitan, ELLE, InStyle, Lucky and Allure and for campaigns for Guess and Lee. 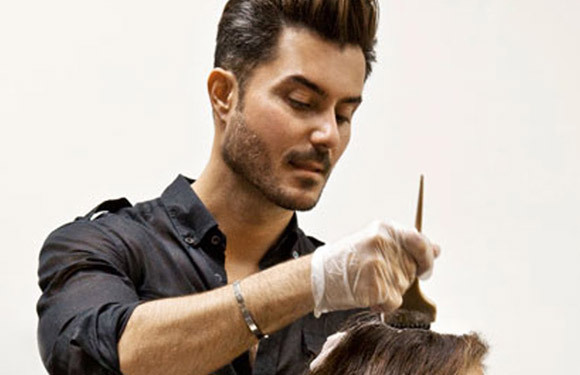 He has also been singled out as one of the country’s top colorists by InStyle, Allure, People Magazine and the Hollywood Repoerter. He was responsible for Britney Spears’ locks when he traveled with her team during her worldwide Circus Tour and also created the hair looks for Spears’ Candies campaign. 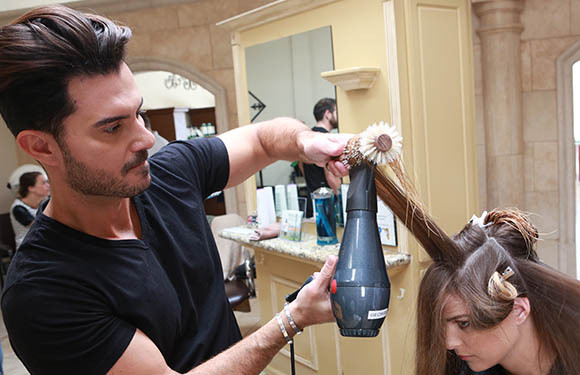 Inspired by his sunny, Southern California hometown, George pioneered the “beach-style” highlighting techniques that have evolved into today’s popular ombré and balayage techniques. 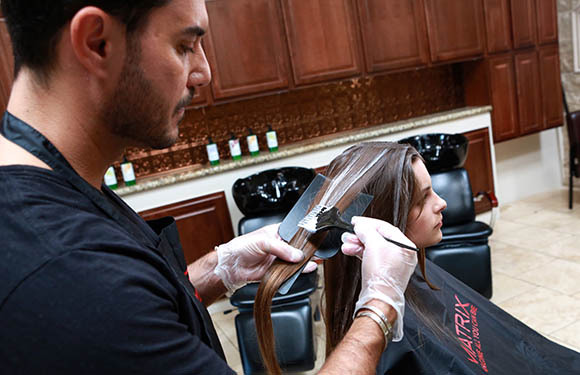 Over time he has perfected his techniques--creating natural-looking, sun-kissed color that looks, as George notes, "like you've spent a summer at the beach rather than three hours in the salon." 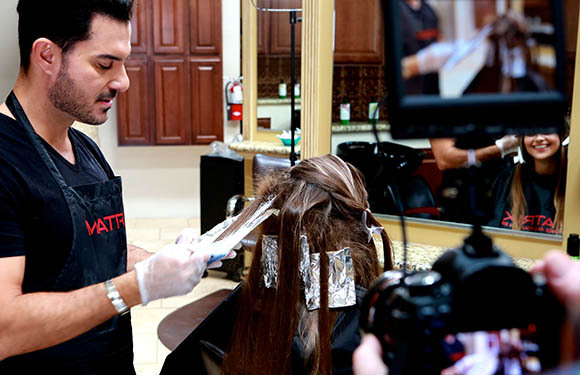 The in-demand Colorist is available to an international clientele, and divides his time between Los Angeles, at the Andy Lecompte Salon; New York City, at the Rita Hazan Salon; Dubai at the Belle Femme Salon and Bahrain at the Purple Patchouli Salon. 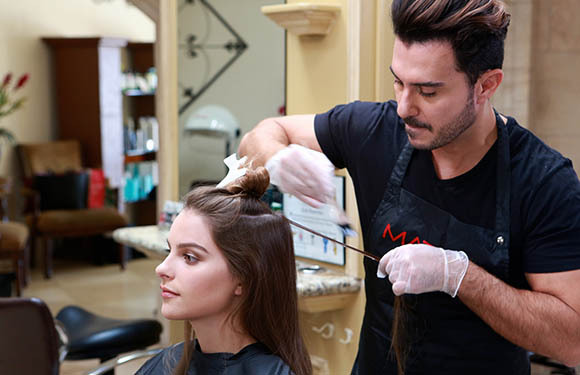 George is the Celebrity Stylist for Matrix, makers of the finest professional haircolor, hair care and styling products, and is represented for Editorial/Fashion and private direct bookings through The Wall Group. 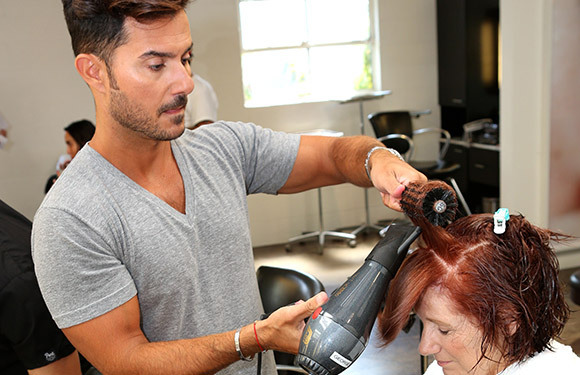 George earned a marketing degree at USC, which provides him with a unique ability to marry the artistic and business aspects of the beauty profession. In his spare time, the versatile artist loves to renovate and design home interiors, and he says the design fundamentals he uses for that type of work—proportion, scale, color composition, etc.--are also translatable to his work in the salon.